We offer a next-day-delivery service to all areas across the United Kingdom. Our privately owned stock and distribution center (located on the outskirts of London) enables us to pick and fulfill orders as soon as they are placed, dispatching to the customer the same day. Our service level indicates that 98% of all orders received before 2PM reach the customer the following working day. Throughout the order and delivery process, customers are able to track their order through to completion including notification of estimated delivery time, visibility of Proof of Delivery and Proof of Shipping documentation. Customers will qualify for our free next-day delivery service where the sub-total of the order (before taxes) is greater than £50.00. This includes heavy catering equipment and large appliances (such as commercial dishwashers). 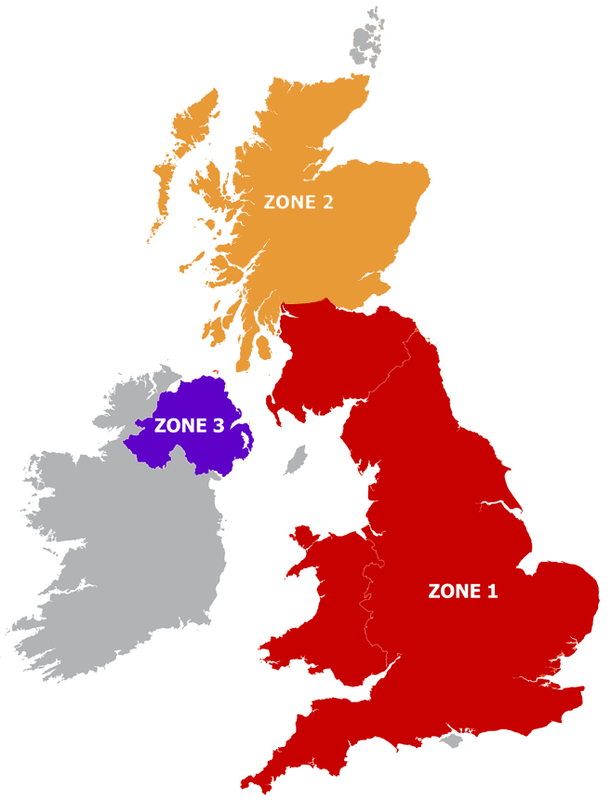 In some cases, an additional geographic surcharge may still be applied to an order if the delivery address falls in part of our additional charge zone, even where the sub-total of the order is greater than £50.00. Please see our charge table below for zones affected and rates charged. When shipping all heavy catering equipment and large appliances (such as commercial dishwashers) we ship all items using pallets and use a suitably equipped freight provider to deliver the service. This ensures that equipment reaches our customers without damage and is delivered by suitably trained staff whom can handle movement and placement of items. For further information on delivery, please see our terms and conditions of sale.